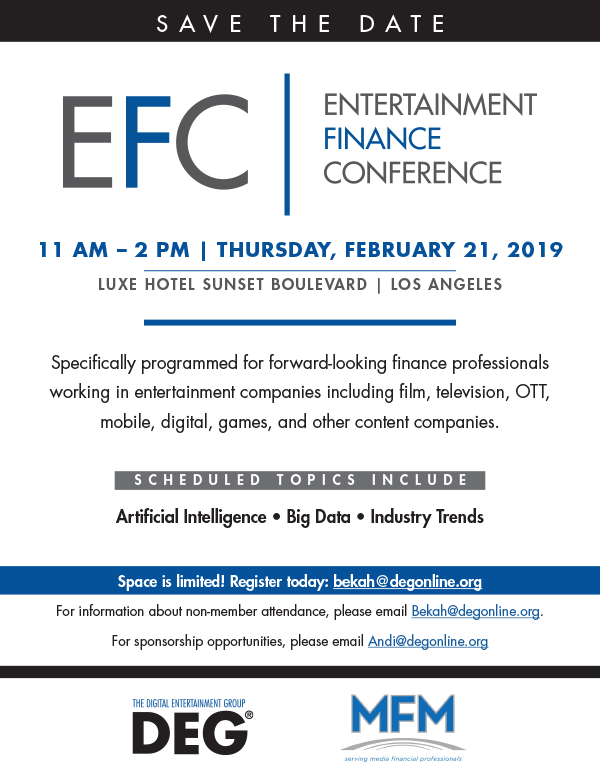 The Entertainment Finance Conference will be followed immediately by DEG’s NextUP: Marketing Symposium from 2:30 p.m. to 5:30 p.m. at the Luxe Hotel. EFC includes lunch, a cocktail party to follow NextUP, and the opportunity to earn up to six CPE credits. For sponsorship opportunities for either meeting, please email Andi@degonline.org.